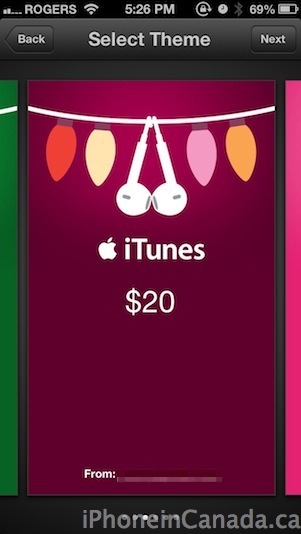 Apple has made some changes to the App Store this afternoon to introduce ‘iTunes Gifts, which allows users to send iTunes Cards in various pre-set denominations of $20, $30, $50 or custom amounts to friends and family. 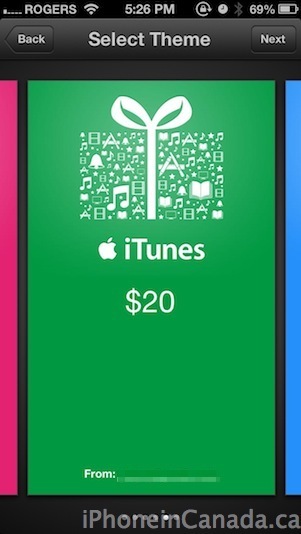 Gift cards are regional, so if you’re sending a gift from a Canadian iTunes account, the recipient can only redeem it in Canada. 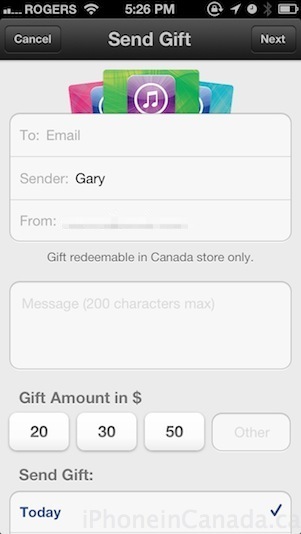 You just enter in the recipient’s email, add a message, select the amount, then decide when you want it to be sent. 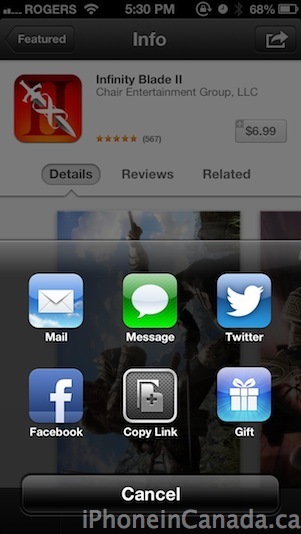 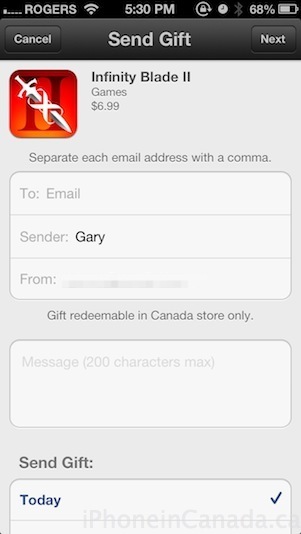 The option to send iTunes Gifts appears in both the Canadian and US App Store. 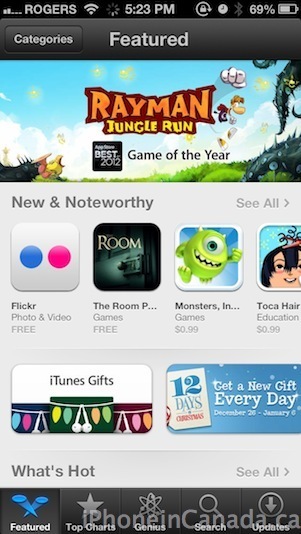 Also today, gifting an app from within the App Store is back again, as noticed by 9to5Mac. 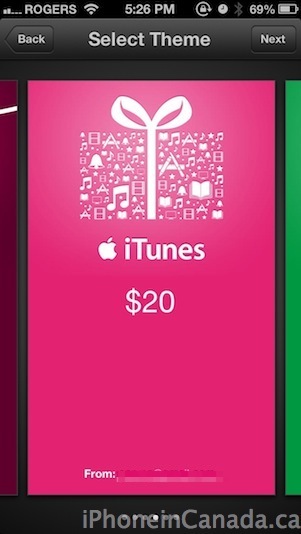 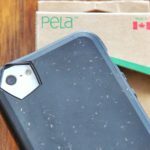 How to gift an app? 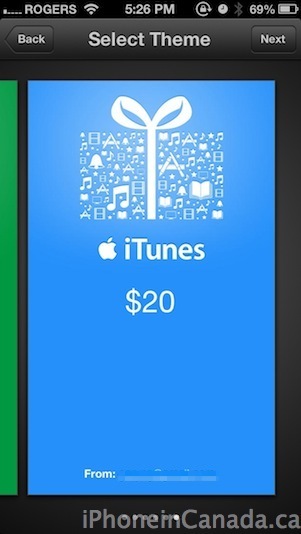 Navigate to any app and tap the ‘arrow’ in the top right hand corner, then tap the gift icon. 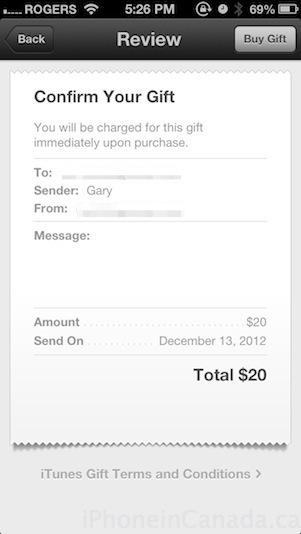 Next, you just enter in your recipient’s details and confirm when you want it sent. 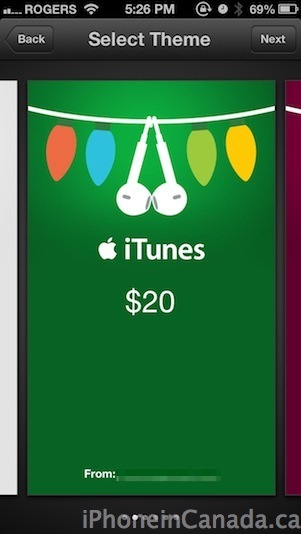 Looks like Apple has stepped up its game to maximize sales for the holidays. 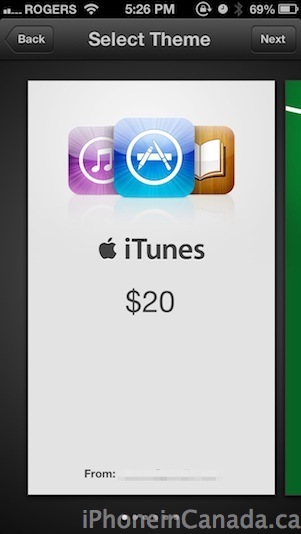 On Tuesday we were the first to tell you of Apple’s holiday shipping times for their online store.